Speaking to The Architect's Newspaper, Project Architect Spencer Leaf said that much of the additional space had come from removing the entry vestibule and re-configuring the interior layout. "Though removing a threshold, we dropped the ceiling over [the] reception so that there is still some perceived transitional space between the gallery and the front door, but without there being a physical barrier. This opened up the gallery to the street more as well." Leaf also discussed the gallery's new stairway. Muted in style, the minimalist replacement of the original stairs (made from blackened metal and two-inch-thick steel tube treads) resulted from the client's request to "make the stairs more discreet." At a glance, the stairway appears to be draped in a single, wafer-thin sheet of metal that silently climbs up through the stairwell. Despite this slenderness, though, one instinctively knows the material can take a person's weight too. "We looked at a number of materials and felt that aluminum gave us the most durability," explained Leaf. "We also liked sanded aluminum largely because of its ambiguous quality—it has a certain massive-ness to it. It almost seems like a carved material or a poured material. A lot of people have asked if it was concrete when they have seen pictures of it." "The material thickness was a particular challenge for us especially with aluminum being particularly soft—it's all a 3/8ths of an inch thick plate," Leaf added. "When we started looking at it as a folded or welded plate, all of our alignments started being ruined due to that 3/8ths thickness." 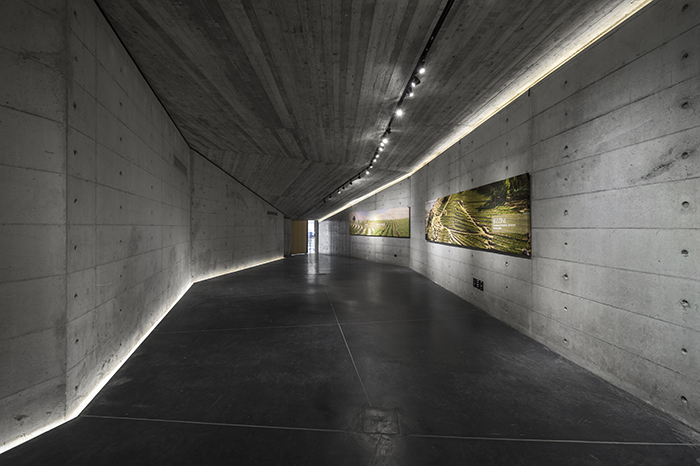 Within this confined area, material connections are concealed—an effect that causes visitors who care enough about stairwell detailing enough to swoon, yet one others may overlook. "All the treads are built as boxes," explained Leaf, who added that when viewed from one side to the other, no thickness is visible. "They always align at a point that a hair could barely pass through." Leaf described the stairway as a "relatively compressed space" but highlighted the 25-foot ceiling that opens up above and the recessed Corian handrail. As with the stairs, Leaf said he and the design team didn't want it to be too obvious or direct in its material or function. "The handrail is the same color and perceived materiality as the gypsum board interior walls. However, when you touch it feels almost like stone because of the quality of the Corian," he said. One of the last designs from late British-Iraqi architect Zaha Hadid will be realized in New York. 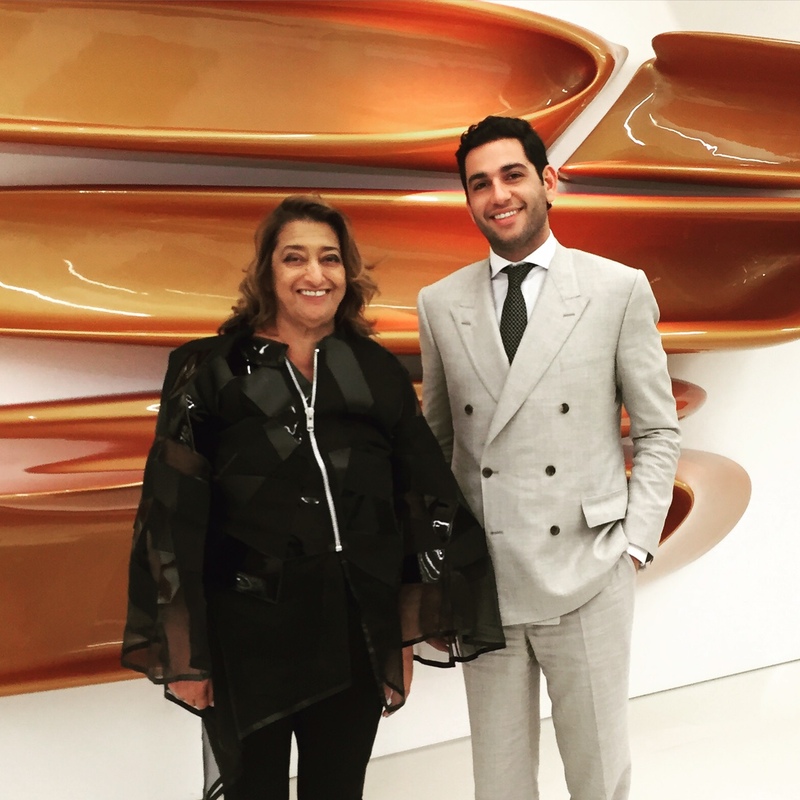 Working with developers The Moinian Group, Hadid and her firm Zaha Hadid Architects (ZHA) were commissioned more than a year ago to provide apartments and space for a "world-class" cultural institution at 220 Eleventh Avenue in West Chelsea, Manhattan. “We must invest in cultural spaces—they are a vital component of a rich urban life and cityscape, they unite the city and tie the urban fabric together,” said Hadid in 2015. Hadid's design aims to evoke the loft-like residences that are commonplace in the Chelsea. A coterie of penthouse apartments and a cultural institution will also be embedded into the project. At the time of writing, The Moinian Group are in talks with institutions regarding residency at the site. “We are deeply honored to develop one of Zaha’s final creations and cement her astonishing legacy forevermore here in Manhattan. She was a special woman and a friend who we all miss very much,” said Mitchell Moinian of The Moinian Group. The Moinian Group's release mentions that Hadid visited New York many times and was able to develop an understanding of the city, its values and architectural heritage. As a result, the Group said, much of Manhattan's vernacular typologies and the area's way of life have formed her design and approach for 220 Eleventh Avenue. Set to break ground at the start of next year, sales for housing units are currently in line to begin toward the end of 2017. Images of the project have not yet been revealed but you can find images of her other New York project on the High Line here. As rents go up in a city succumbing to gentrification, the few remaining art galleries in Manhattan's Chelsea neighborhood have either left or are looking set to leave. 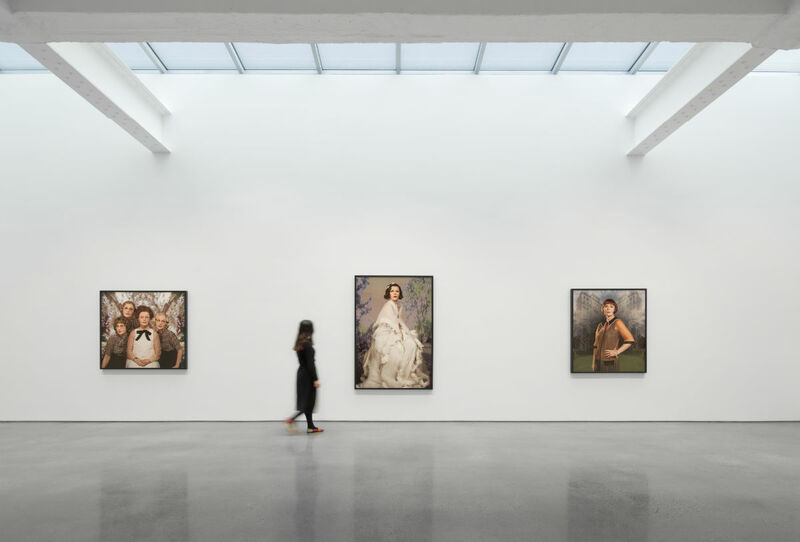 This however, is nothing new for the art galleries of New York, according to Stuart Siegel, senior vice president at real-estate broker CBRE Group who specializes in Chelsea. The galleries have been been victims of their own success before. 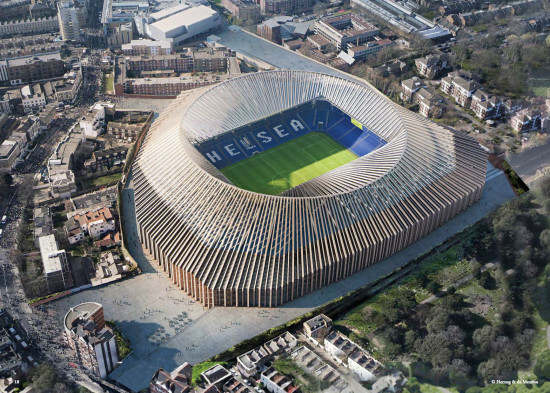 "The galleries put Chelsea on the map. Then the world followed them," Siegel told Crain's. 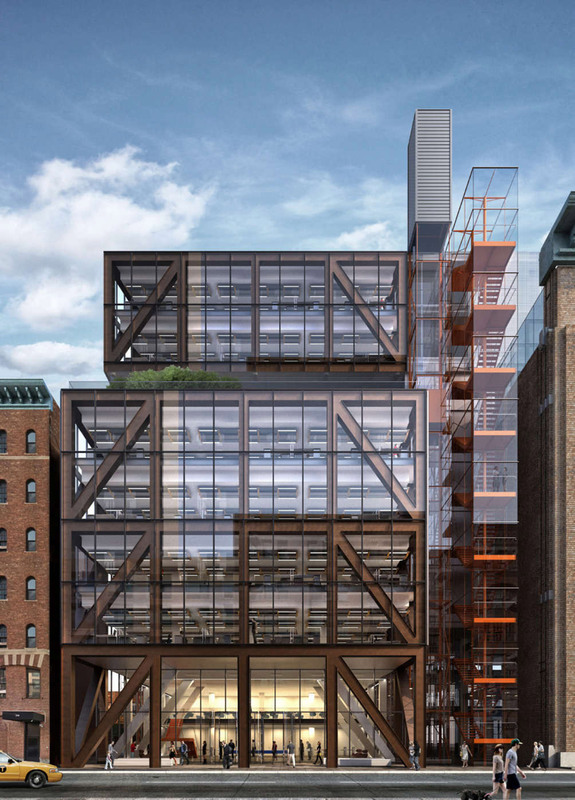 Now, high-end development along the High Line is responsible for chasing many galleries away. 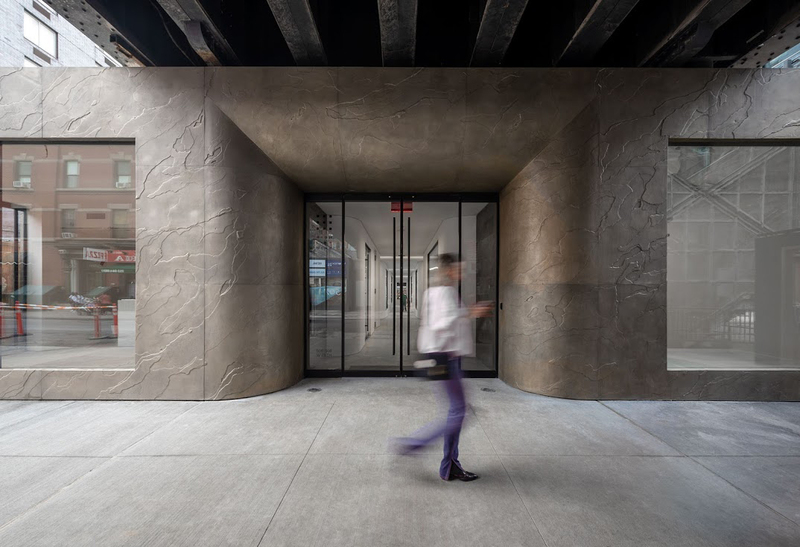 Crain's went on to note that only "high-end emporiums" such as Gagosian Gallery, Gladstone Gallery, and David Zwirner—all of which own their own buildings—remain. 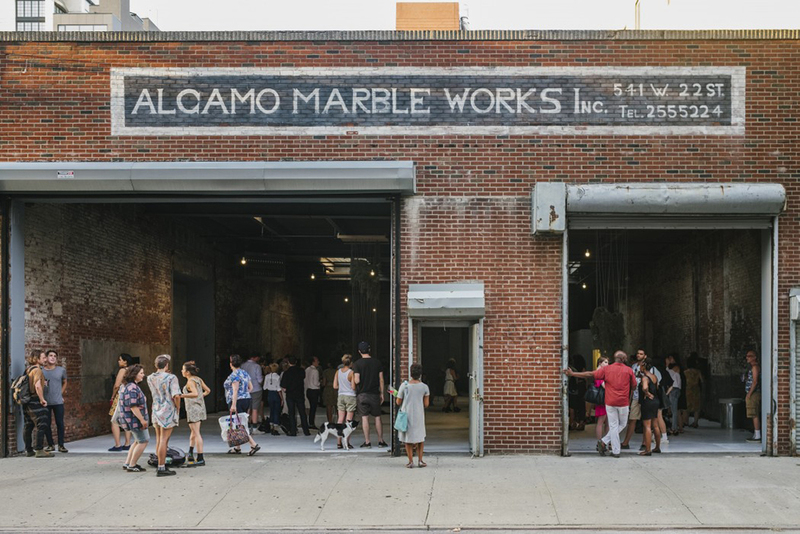 They have learned the lessons of the past when art galleries previously "revitalized" Soho, only to be forced out due to increasing rent prices. The hike has even affected Jeff Koons, the world’s most expensive living artist at auction according to Crain's. Koons plans to move out within the next two years. 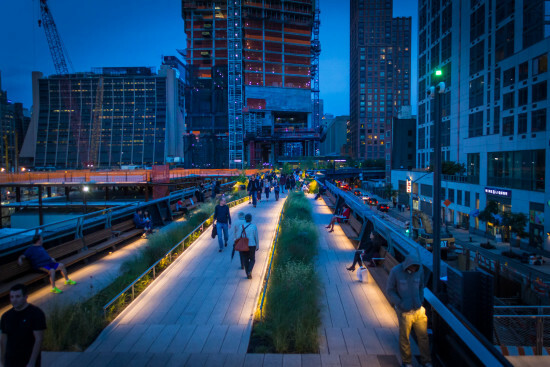 Developments from Zaha Hadid, Foster+Partners, Frank Gehry, and others have popped up all along the High Line, and will only further the gentrification of the area as rent prices continue to increase. Troy McMullen at the Financial Times commented that "at present there are more than 20 new developments – with more than 2,700 new units – planned either near, alongside or under the High Line, according to New York City’s Department of Buildings, making this narrow, 2.3km-long strip of land one of the highest concentrations of new architecture and property development in the US." In New York in the 1960s and '70s, a movement against pictorial, illusionistic, or fictive art began to favor more direct and literal figurations. This movement—now called Minimalism by many—was often spatial in nature as it was drawn on flat surfaces, sculpted, and displayed in white box galleries. There were, during the period, musicians who either joined the movement who were inspired by the likes of John Cage and others—Philip Glass, Steve Reich, Terry Riley, etc. They had natural affinities to music that was aural or spatial. 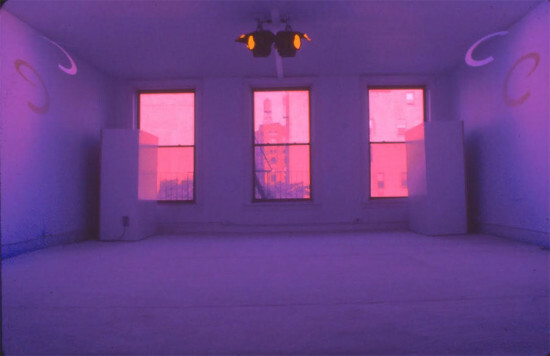 One of these was LaMonte Young, a major figure in the movement, and now his 1969 piece, Dia 15 VI 13 545 West 22 Street Dream House (circa 1969), has been acquired by the Dia Art Foundation and is on display at their space at 545 West 22nd Street through next October. 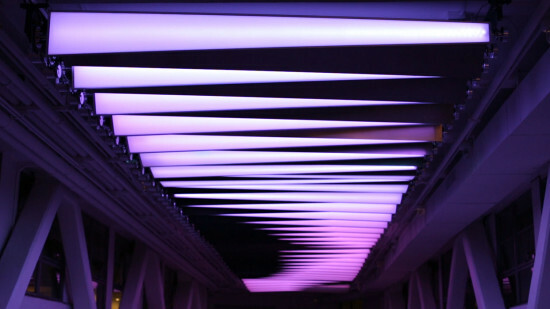 Dia describes the installation created by Young and collaborator Marian Zazeela as a “truly immersive experience…in sound and light, in which a work would be played continuously and ultimately exist in time as a living organism with a life and tradition of its own." Architects open to new—or in this case older—ideas of space and time would do well to visit. Young and Zazeela intend the work to be “durational” and to be experienced several times over a lifetime. Dia will also present various musical performances inside the spatial experience during its installation. 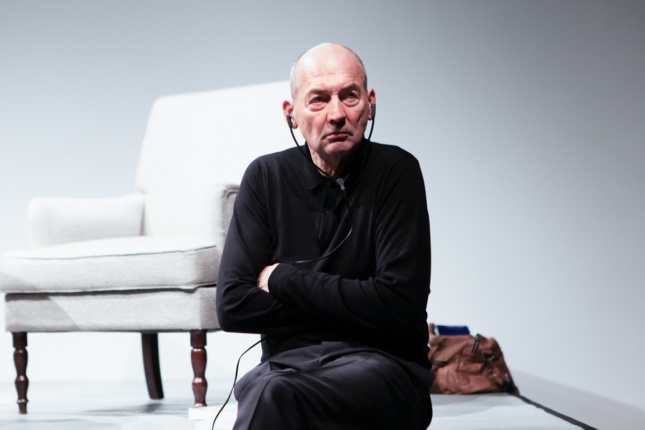 It was always a question of when—not if—Rem Koolhaas would join the starchitect party alongside New York City's High Line. 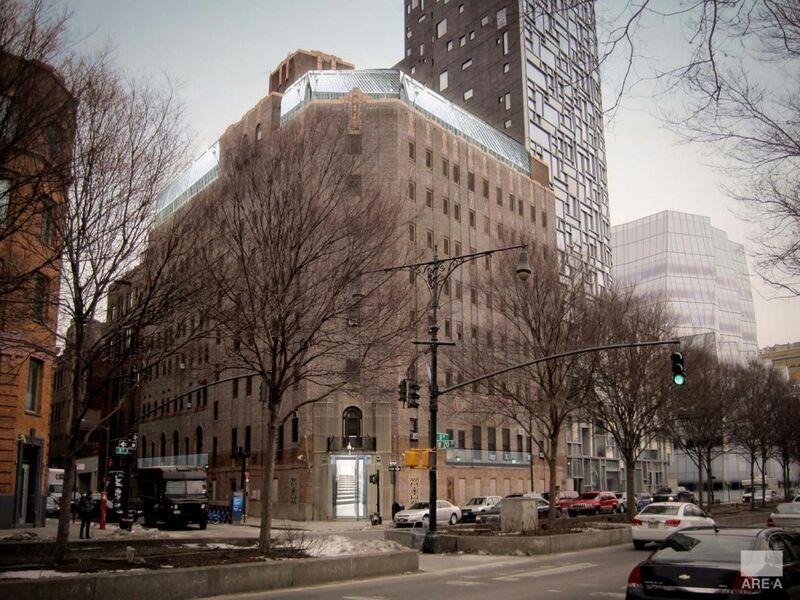 With the third phase of the popular park open, and multiple splashy projects rising alongside it, the New York Post is reporting that Koolhaas' time has come: he has been hired by The Related Companies to design a building on West 18th Street. Related is also developing a nearby building by Koolhaas' former student and then partner, Zaha Hadid. While there are very few details about Koolhaas' new building, it will certainly be significant given that it is the world-renowned architect's first major project in New York City—a city which he, of course, explored in depth over 30 years ago in Delirious New York. Rem's High Line tower won't be the only project his firm, OMA, will be working on in the New York City region. Last year, Koolhaas' team was selected as one of the major winners of HUD's Rebuild by Design competition.